Humphry Fortescue Osmond (July 1, 1917 - February 6, 2004) was a British psychiatrist, known for coining the word psychedelic and for his groundbreaking research in using psychedelic drugs in medical research. 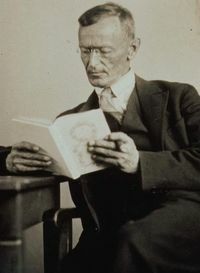 Hermann Hesse (2 July 1877 – 9 August 1962) was a German-born poet, novelist and painter. In 1946, he received the Nobel Prize in Literature. His best known works include Steppenwolf, Siddhartha, and The Glass Bead Game (also known as Magister Ludi). 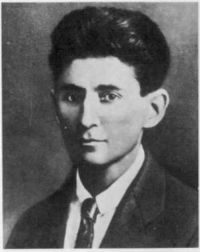 Franz Kafka(July 3, 1883 – June 3, 1924) was one of the major German-language fiction writers of the 20th century. A middle-class Jew based in Prague, his unique body of writing — many incomplete and most published posthumously — has become amongst the most influential in Western literature. Jean Gebser (August 20, 1905 – May 14, 1973) was a prodigy, a student of the transformations of human consciousness, a linguist, and a poet. Born in Poznań, he left Germany in 1929 to avoid the fascists, living for a time in Italy and in France. He then moved to Spain, mastered the Spanish language in a few months and entered the Spanish Civil Service where he rose to become a senior official in the Spanish Ministry of Education. He was also a published poet. He participated in the Spanish Civil War on the side of the left, barely escaping Spain in 1936. He lived in Paris for a while but saw the unavoidability of German invasion. He fled to Switzerland in 1939, escaping only hours before the frontier was closed. He spent the rest of his life near Bern, where he did most of his writing. Late in life, Gebser travelled widely in India, the Far East, and the Americas, and wrote half a dozen more books. Gebser was as much a man of science and the arts as he was a mystic. In fact it would be a serious mistake to believe that he favored mystifying dogma over transparent explanations. He was no proponent of fascist or other ideologies using various cultic symbols and myths for self-justification. He died on May 14, 1973 "with a soft and knowing smile" (Georg Feuerstein, Structures of consciousness: The Genius of Jean Gebser, p 32). Gebser had written in Die Schlafenden Jahre, "When we are born we cry and weep, when we die we should smile." 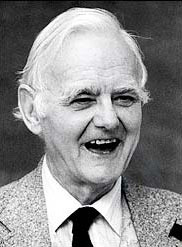 Algis Mickunas, professor emeritus of philosophy at Ohio University was given a tape of Gebser's last death-bed utterances by his widow and this tape has been digitally enhanced by the media laboratory at the University of Oklahoma (his weakened state and his asthma made him difficult to understand). This and other personal letters and publications are held at the Gebser Archives at the University of Oklahoma History of Science Collections, Norman, Oklahoma, Bizzel Libraries. His major thesis was that the stress and chaos in Europe from 1914 to 1945 were the symptoms of a structure of consciousness that was at the end of its effectiveness, and which heralded the birth of a new form of consciousness. The first evidence he witnessed was in the novel use of language and literature. He modified this position in 1943 so as to include the changes which were occurring in the arts and sciences at that time. His thesis of the failure of one structure of consciousness alongside the emergence of a new one led him to inquire as to whether such had not occurred before. His master work, Ursprung und Gegenwart (German, Origin and Present), is the result of that inquiry. It was published in various editions from 1949 to 1953, and translated into English as The Ever-Present Origin. Working from the historical evidence of almost every major field, (e.g., poetry, music, visual arts, architecture, philosophy, religion, physics and the other natural sciences, etc.) Gebser saw traces of the emergence (efficiency) and collapse (deficiency) of various structures of consciousness throughout history. Gebser notes that the various structures of consciousness are revealed by their relationship to space and time. For example, the mythical structure embodies time as cyclical/rhythmic and space as enclosed. Whereas the mental structure lives time as linear, directed or "progressive" and space becomes the box-like homogeneous space of geometry — a vacuum. But just as each consciousness structure erupts it also eventually becomes deficient. The deficient form of the mental structure Gebser called the 'rational' structure. Of particular significance is his realization that previous consciousness structures continue to operate. The rational structure of awareness seeks to deny the other structures with its claim that humans are exclusively rational. The rational structure is known for its extremes as evidenced in various "nothing but..." statements. Extreme materialism claims that "everything is nothing but matter — atoms". Philosophy, the love of wisdom, is replaced with instrumental reason, the ability "to make". Contemplation — looking inward — is devalued in relation to what one "can do". "Wise men" fall out of favor and are replaced by the "man of action." Successes in re-shaping matter — in technology — offer solutions to some problems but also give rise to problems of their own making. Mechanized slaughter of two world wars and the new atomic weapons exemplified and symbolized the expression of the ontology of the rational/mental structure. Living becomes hard to bear in such a consciousness structure. Some saw the cause of this despair as a lack of values or ethics. Gebser saw that it is the very consciousness structure itself which has played out to its inherent end. He saw that its metaphysical presumptions necessarily led to this ethical dead end. A "value-free" ontology like materialism leads of necessity to living "without value". Any attempt to remedy the situation by a return to "values" would ultimately fail. But it was through this very quagmire of "the decline of the West" that Gebser saw the emergence of a new structure of consciousness which he termed the integral. The integral consciousness structure was made evident by a new relationship to space and time. In the second part of his work, Gebser set out to document the evidence that he saw throughout various human endeavors. Of note here were the incorporation of time in physics, the attempts to "paint" time in the visual arts and the like. Gebser noticed that the integral structure of consciousness was largely witnessed as the eruption of time into the "fixed-reality" of the mental structure. For Gebser, dualistically opposed and "static" categories of Being gave way to transparency. Transparency points to how it is that the one is "given-through" and always "along-with" the other. For centuries, time was viewed as having distinct categories of past, present and future. These categories were said to be wholly distinct one from the other. Of course, this created all kinds of difficulties regarding how beings moved from one category to the other — from present to past, for example. What integral awareness notices is that though we may utilize categorical thinking for various purposes, we also have the realization that time is an indivisible whole. That various beings in the present are crystallized from the past, and which also extend into the future. In fact, without already having an integral awareness, one could have no notion of time as "past" or "present", etc. Without the awareness of the whole, one would be stuck in a kind of "not-knowing" of an always only "now" not connected to any sense of past or future. Even the mental awareness which divides this whole into distinct categories could not have become aware of those categories without an awareness which was already integral. Awareness is already integral. Gebser introduced the notion of presentiation which means to make something present through transparency. An aspect of integral awareness is the presentiation, or "making present", of the various structures of awareness. Rather than allowing only one (rational) structure to be valid, all structures are recognized, presented, one through the other. This awareness of and acceptance of the various structures enables one to live through the various structures rather than to be subjected to them ("lived by" them in German). To realize the various structures within one's language and habits, and even within one's own life and self is a difficult task. But Gebser says that it is a task that we cannot choose to ignore without losing ourselves. This means that our so-called "objective thinking" is not without consequences, is not innocent. That to live "objectively" means to give life to the horrors of nihilism combined with the know how of highly "efficient" weapons. It means that "objectivity" gets applied to "engineering humanity" whether it is in the behavioral sciences or the physical sciences. He asks of us whether or not we have as of yet had our fill of those horrors. Are we willing to settle into the comfort of our daily life or to take on the process of change? He offers as a guiding note that just as there is also a time to act, there is also the much neglected time of contemplation. In a world where know-how is overvalued, simple knowing must also be nurtured in contemplation. Furthermore, he knew that thought was never simply a mental exercise restricted to one's writing. He calls upon us to realize that we are what we think. Gebser traces the evidence for the transformations of the structure of consciousness as they are concretized in historical artifacts. He sought to avoid calling this process "evolutionary", since any such notion was illusory when applied to the "unfolding of consciousness." Biological evolution, as Gebser noted at length, was an enclosing process, that particularized a species to a limited environment. The unfolding of awareness is by contrast an opening-up. Any attempt to give a direction or goal to the unfolding of awareness is illusory in that it is based upon a limited notion of time, the mental, which is linear and hence implies "progress." To be sure, Gebser was fully aware that any notion of "human progress" was already played out. He notes that "to progress" is to move toward but is also a moving away from, and he knew that the question as to the fate of humanity is still open, that for it to become closed would be the ultimate tragedy, but that such a closure remains a possibility. Our fate is not assured by any notion of "an evolution toward" any kind of ideal way of being. His work has formed the basis of a number of other important studies, in particular Ken Wilber's Up from Eden, Rudolf Bahro's Logik der Rettung (translated into English as Avoiding Social and Ecological Disaster), Hugo Enomiya-Lassalle's Living in the New consciousness, Daniel Kealey's Revisioning Environmental Ethics, Georg Feuerstein's Wholeness or Transcendence, William Irwin Thompson's Coming into Being, and Eric Mark Kramer's Modern/Postmodern: Off the Beaten Path of Antimodernism, which was inspired by Jean Gebser and Lewis Mumford, and which introduces Dimensional Accrual and Dissociation, a theory of comparative cultures and communication styles. Also instructive is Consciousness and Culture: An Introduction to the Thought of Jean Gebser, edited by Eric Mark Kramer. This volume contains several scholarly articles, covering many areas of research in which Gebser's ideas are applied such as architecture, fine arts, anthropology, literature, political science, communication theory, mass communication, social movements, psychology, and philosophy. Additionally of interest are the various publications by the Jean Gebser Society which was founded in 1973. Annual meetings and refereed proceedings, as well as a scholarly book series, are edited by Mike Purdy. The book series, Communication, Culture, and Comparative Civilizations, is being edited by Eric Mark Kramer. Volume I (2005) was edited by Philip Dalton. Volume II (2006) is being edited by S. David Zuckerman. The 35th Annual conference of the Jean Gebser Society was held at California State University, Sacramento, October 26-28, 2006.